The Chaseley Trust is a very large Charity Nursing Home with 55 Residents enjoying living here with varied physical disabilities that have a neurological origin. 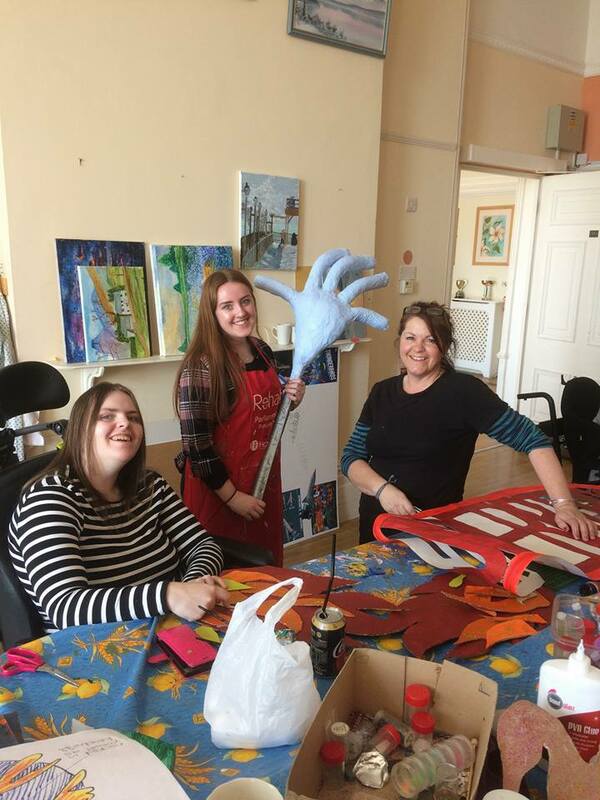 We are very lucky to have the facilities within and to be able to create such a diverse environments with different activities and events going on including Arts and Crafts and Ceramics as some of our most popular. It is important that all the wonderful things we do for our Residents are helping them to have a fulfilled life. This can’t be done without the help of our many Volunteers who lend a hand to our Staff and the Residents. Some of our Volunteers have been coming here for a long time and enjoy being part of a network of friendship groups. Many of our Residents consider them almost as part of their family. We also enjoy great support from the Eastbourne College with their very polite and wonderful Students who regularly come to help Residents and in the process learn about our unique environment. 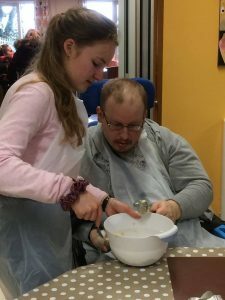 Chaseley has also had many new Volunteers over the last year which has helped us in many new ways including taking part in the cooking group and coming in to do the gardening and helping us with Administration and Reception. Once a month Parche come in and provide us with a religious service for our Residents, many of whom find it difficult to get out to enjoy services externally. Millie’s nightclub once a month run a Disabled Disco which is organised and run by volunteers. We also have singers and entertainers who all provide their services for free to bringing great joy, music and laughter to the Residents. Local Artists and other Community Groups also come in to help us with big events, such as our amazing Carnival entry this year, helping us to win “Best Walking Group” which was an amazing achievement for us. On behalf of all the Staff and Residents at Chaseley, we simply cannot thank our Volunteers enough for all their endless help, support and hard work. We are so grateful for their knowledge and company they provide for our residents. There is lots more help Chaseley need, from support to help us fundraise for much needed improvement, or Volunteers that can help us run some of our Activities. If you have any time to spare, please get in touch as you can make such a big difference. We greatly appreciate all donations, however small, and you can donate securely on line or you can donate by text, sending CHAS09 plus your donation amount to 70070. Cheques in the post are equally welcome! We would be delighted if you would remember the Chaseley Trust with a gift in your will. This can be arranged by your solicitor. Please contact us for more details. We are very grateful for grant giving bodies, that help us to pay for new equipment and other capital expenditure. If your organisation can assist with grants, please let us know. Caring for people with severe physical disabilities with residential, respite, day care and therapy. Based in Eastbourne, East Sussex. Website by Bamb. Bamb is a creative agency based in Sussex.